PUKALANI, Hawaii –Testifiers raised concerns about Hale Mahaolu’s proposed “Ewalu” senior housing project at a Land Use Committee site inspection in Pukalani today, while the developer’s representatives touted the project’s benefits and claimed there will be minimal traffic and other impacts. Committee Chair Robert Carroll and committee members assembled along Ohia Ku Street to receive feedback from the community and assess the property. Traffic impacts became the highlight of the discussion as concerned residents, including Council Chair Gladys Baisa, who holds the area’s residency seat, noted a recent pedestrian accident on a nearby street. Testifiers also cited a future County development – the Kulamalu Affordable Housing project at a nearby empty lot – as bringing increased foot traffic to the area. Eight residents testified at this morning’s site inspection, which was followed by an afternoon committee meeting in the Council Chamber. Councilmember Donald G. Couch, Jr. inquired whether public transportation will be considered for the project’s residents. Jo-Ann Ridao, Director of Housing and Human Concerns, said an existing Maui Bus stop is a little ways from the property along Kula Highway, but she is working with the County Department of Transportation to consider installing a closer stop. Katsuda also noted most residents at other Hale Mahaolu properties on Maui are either transported by programs provided by Maui Economic Opportunity or by family members. According to design plans and a scale model available during the site inspection, the project will include 60 affordable units and a resident manager unit. Fukuda said the anticipated rent for tenants would be around $850 to $1000 per month. The project design also includes a senior center, an adult daycare center and 83 parking stalls. Katsuda said the daycare center will be open to general public. He also noted based on his organization’s other housing sites, only about 60 percent of residents are expected to request parking stalls. Eligible residents must be at least 62 years old, with income at or below 60 percent of the area median income, which Ridao said is “roughly $40,000 to $45,000” annually. The project is proposed under Chapter 201H, Hawaii Revised Statutes, which provides developers of qualified affordable housing projects the opportunity to receive exemptions from certain laws relating to planning, zoning, construction and development. Carroll noted the Council’s deadline to act on the proposal is Oct. 9. The committee considered project exemptions in this afternoon’s meeting. Carroll said he will schedule another meeting on the project on Sept. 17 at 1:30 p.m. 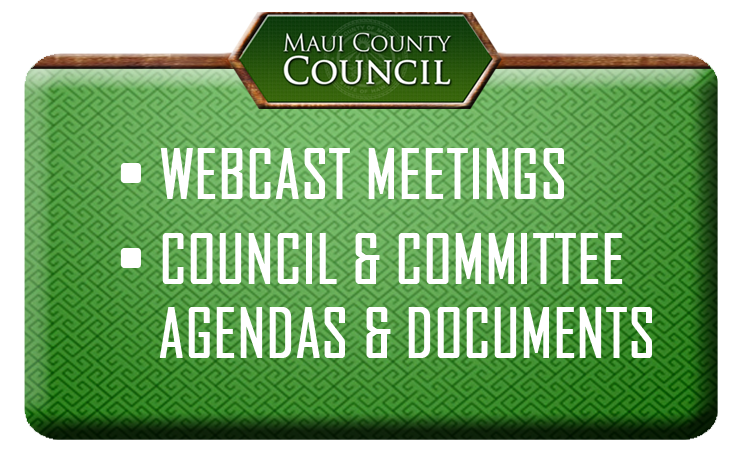 Follow @mauicounty on Twitter to receive the latest news on the #HaleMahaolu #affordablehousing project. When will the applications be availible for hale mahaolu ewalu?